In 1985, Ted led SHS to a 27-1 record and its second State Basketball Championship. Playing an outstanding tournament final where he scored 25 points, he was named the most valuable player for the game. The team also won NCCC Conference Championships in 1984 (finishing with an overall record of 22-4) and 1985, when Ted was captain. A prolific shot-maker, Ted scored from the outside with his classic jump shot or could slash to the basket for inside points. He rang up 1464 points during his high school career which was the highest total amassed by any boy in school history, and he accomplished the feat before the advent of the 3-point shot. It was a record that would stand for 17 years. In 1984 and 1985, he was named All State in basketball—the first player from Suffield ever accorded that honor twice. A member of the National Honor Society, three times he was named All NCCC Conference and received the Coaches Award in 1985. In addition to his sterling basketball career, at SHS Ted was also an accomplished golfer and played a year of soccer. He was named All NCCC Golf first team three years and was a member of the 1981 State Championship Soccer Team. 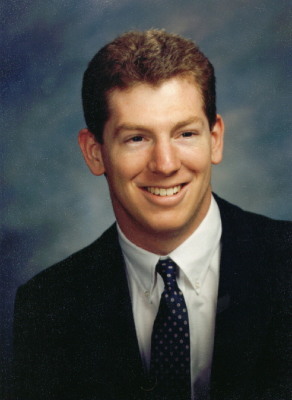 Upon graduation, he was a 4-year member of the Trinity College Varsity Basketball Team and Co-Captain in 1988-89. While at Trinity, he led the team to two New England Small College Championships. Taking a page from his high school career, Ted scored 20 points in the 1989 final and was game MVP. He graduated from Trinity in 1989 with a B.S. in Economics and received his Masters in Business Administration from Boston College.